The White House Correspondents’ Association supported seven graduate students ($2,500 per student) to study in Washington, DC for a semester, as part of the University of Missouri’s well-established program. The University waived the balance of the tuition in return. Abby Johnson is a self-described “East Texas girl” with a deep love of politics. She started a career in journalism as a music critic in Austin, but migrated from downtown venues to the Texas Capitol. 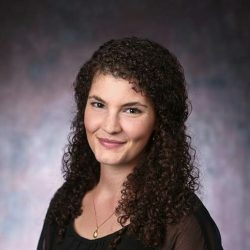 She has datelines from Austin, Columbia, Mo., Paris and Washington, D.C. For her graduate project with the Missouri School of Journalism, Abby worked for DecodeDC, a project of Scripps News. In addition to pitching and writing stories, Abby monitored DecodeDC’s Twitter account and worked on engagement strategies. She will graduate in May.